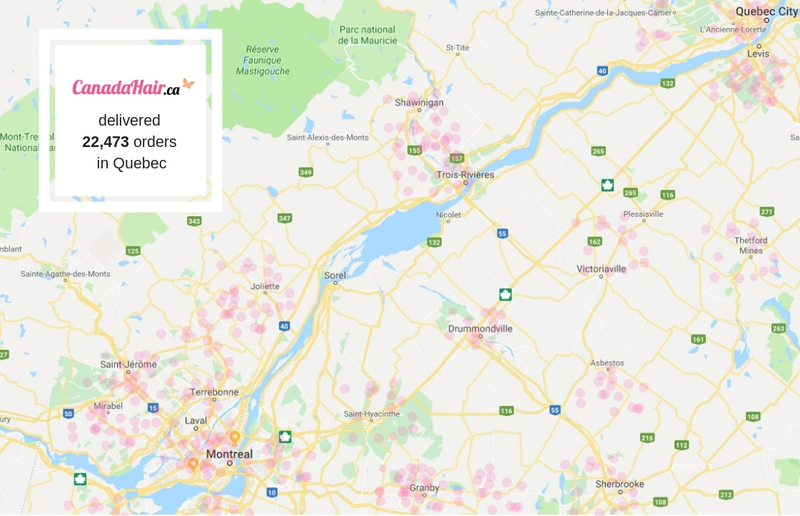 Looking for hair extensions in Quebec? The best extensions in Quebec: order online or buy in retail stores? Popular in Quebec: with hundreds of satisfied customers, we are a top choice in Quebec. We already work with lots of hair salons and shops in your area. We help hair salons in Quebec have happier customers by offering them quality products at affordable prices.